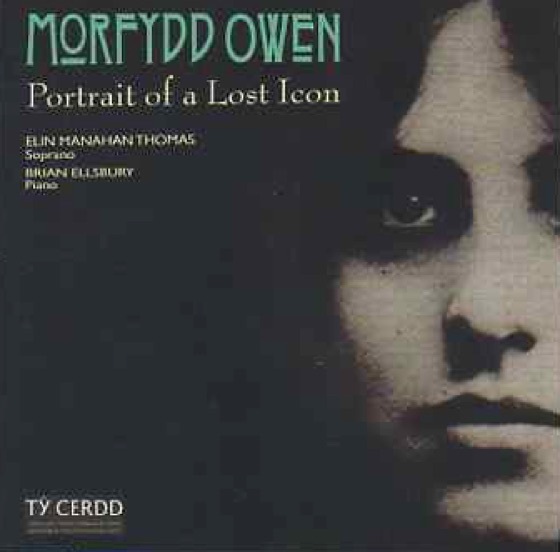 One of the greatest musical talents yet seen in Wales, Morfydd Owen was born at Treforest in South Wales in 1891. Both her father, an accountant, and her mother were accomplished amateur musicians, and Morfydd showed great musical talent at an early age. Whilst still in her teens she performed professionally as soloist in the Grieg Piano Concerto. She studied composition privately with Dr David Evans for two years before winning a scholarship to Cardiff University and being admitted formally to his composition class. Her first published work appeared in 1909. Altogether, twenty of Morfydd's compositions were premièred at student recitals in Cardiff. Upon graduation, she proceeded to the Royal Academy in London where her impact was swift and impressive. Under the guidance of her professor, Frederick Corder, Morfydd generated a stream of new music which dominated showcase programmes for young composers and elicited unanimous praise from the review columns of London newspapers. Morfydd also accumulated a steady stream of scholarships and awards, including the blue-riband award - the Charles Lucas Silver Medal for composition, for her Nocturne in D flat for large orchestra, described at the time as the most original student work ever heard at that Institution. Her record of distinction at the Academy is as yet unequalled. 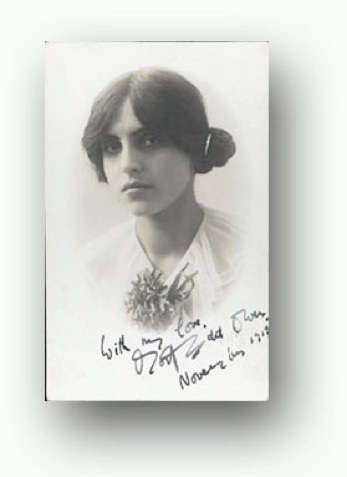 On 18th September, 1917, a song, ‘For Jeannie’s Sake’ (the lyrics by Ethel Newman), was performed at a London Promenade Concert by Robert Radford (bass) and Frederick Kiddle (piano). Morfydd was appointed to the teaching staff at the Academy, and began what promised to be a brilliant career as both singer and composer. Tragically, this promise was to be cut short by her death from appendicitis a month short of her 27th birthday in 1918. The previous year, she had married the famous psycho-analyst Dr Ernest Jones. In just over 10 years, she produced some 180 compositions, instrumental, choral, and orchestral; and at the heart of her work, some one hundred songs. Surprisingly for a Welsh composer of that time, sacred music formed only a small part of her output - 22 hymn tunes and a few anthems. However, she remains best known in Wales for her stunning setting of the Welsh hymn 'Gweddi y Pechadur' (The Sinner's Prayer). Morfydd Owen was a beautiful and romantic young woman, and her emotions are expressed freely in her music. Many of her works are advanced and innovative, and often astonishingly beautiful. 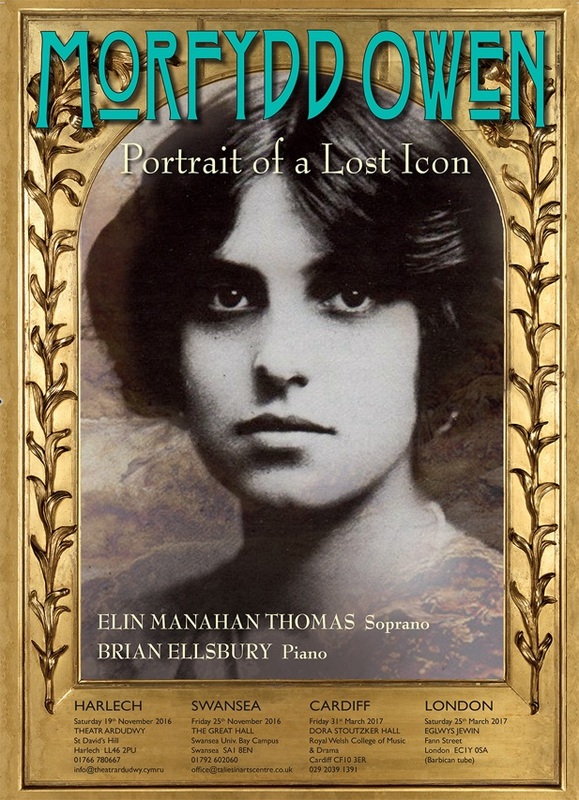 As a singer herself, she composed with an especial understanding of the mezzo-soprano voice. 'Prelude in F' was composed in 1913 during Morfydd's first term at the RAM, when her work seems to become increasingly autobiographical. It was written first for piano; later she began an orchestration, left incomplete as she moved on to other things. Morfydd was on a journey vividly portrayed in 'Nocturne', and she was travelling fast. The disturbing harmonic progressions of 'Suo Gân' and 'Foredoomed' suggest that she might already have had some misgivings about her ultimate destination, even if the stunning 'Gweddi y Pechadur' was to offer hope of redemption. Prelude in F is a transitional work, with a hint of some influences from Delius, and for the moment, we are in a safe haven. There is an image of Morfydd at this time in a drama-documentary produced by the BBC in Wales in her Centenary year - we see her sitting by the window of her dingy lodging in London, writing a letter in which she complains of being ill with the 'flu and feeling very homesick. She gazes out of the window into the far distance, and it is in a scene such as this that the music of Prelude in F seems to me to find its truest resonance. ‘Gweddi y Pechadur’, written in June 1913, during her first year at the Academy, remains her best-known piece. It is a setting of a hymn by Thomas William (1761-1844) which is said to have been a favourite of David Lloyd-George. The penitent and guilt-laden sinner approaches God, standing far off and pleading for forgiveness. The proper title is ‘Gweddi Pechadur’, Morfydd’s insertion of the grammatically incorrect article implies a highly personal statement. Certainly, this song contains some of her most powerful music. ‘Farewell, lost but dear soul’. E.J. Moeran, Howard Skempton & Luke Whitlock. 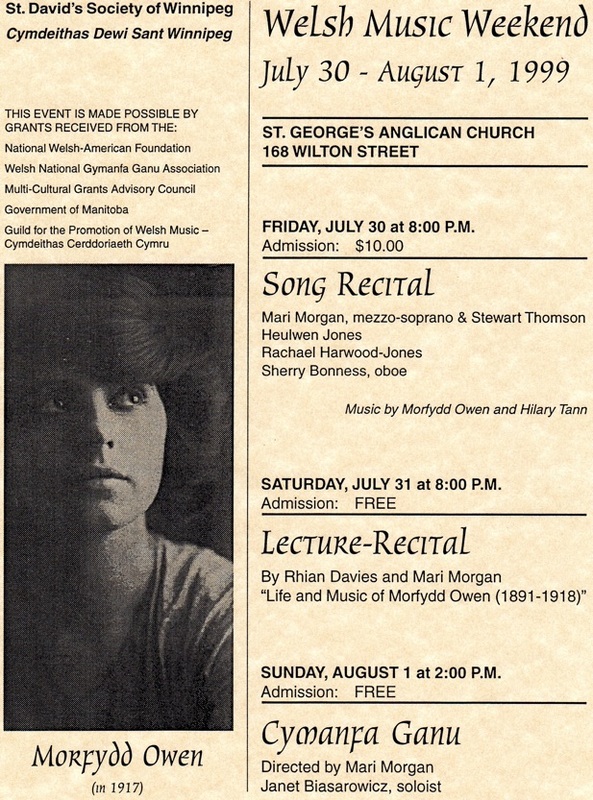 Dr Rhiannon Mathias leads a discussion about the works of two major female Welsh composers, Dilys Elwyn-Edwards and Morfydd Owen alongside performances of their works by Ellen Williams and Brian Ellsbury.